I usually try to encourage people to visit my island, Saint Lucia but I also say "If you can visit any where in the Caribbean just go! The Caribbean is a beautiful place." 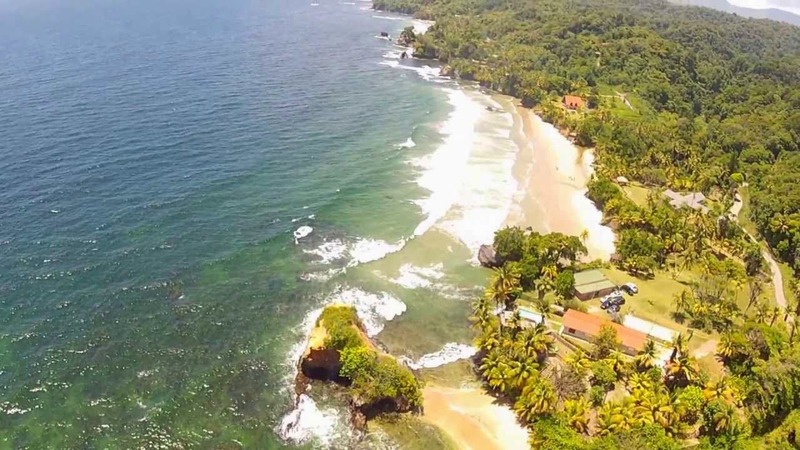 So I loved the following video of Trinidad & Tobago's greenish tinged beaches especially since I don't see that side of Trinidad, much less Tobago which I have never visited during my carnival visits. Sarah Jane's comment with her post was endearing too, "I try to explain Trinidadian beaches to foreigners and how they aren't that bright blue colour we always imagine with the Caribbean. When I tell them the water has a greenish tinge they frown and I know in their head they're thinking of seaweed and murky lake water. I explain that because of this we don't have tourists quite like the other islands. And so the beaches remain (largely) commercially undeveloped, especially coves like Damien's Bay. But I can tell I already lost them with "greenish tinge." This sums up that green beauty perfectly. I wouldn't have it any other way really, because this way, we don't have to share. Call it selfishness."